Pharma Franchise for Anti-Inflammatory Medicine– Anti- Inflammatory medicines are those drugs which persons consume while they have a headache, backache, muscle aches, menstrual aches and pains, pain after a minor surgery, sprains or others. Anti-inflammatory medicines help to relieve pain. The demand for these medicines is very high because of its quick effects. To meet heavy demand, supply in bulk is required. So opening PCD Pharma Franchise for Anti-Inflammatory Medicine is the best business opportunity as per market scenario. Choosing the best company Franchise is a profitable business deal. Medlock Health care is now presenting their new range in Pharma Franchise for Anti-Inflammatory Medicine. Dosages of Anti-Inflammatory Medicines are consumed on a very high scale. Due to a stressful life, people face a lot of health issues which leads to medicines. As per the recent market situation consumption and sales of Anti-inflammatory medicines will increase in coming years and expected to reach $106 billion by 2020. As per WHO (World Health Organization) reports the requirements for anti-inflammatory drugs going to be high in upcoming years. The market is wide and large of Anti-Inflammatory Medicines. The government also spreading awareness for medicines and offering good benefits who opt PCD Pharma Franchise business. A person gets big relaxation on taxes which is the big advantage for businessmen. Hence, Opening PCD Pharma Franchise for Anti-Inflammatory Medicine is surely a good career option for opportunity seekers. For further queries give us a call at +91-9541112000, +91-9356647200. Medlock Healthcare is ISO 9001:2015 certified pharma Company. From the inception, it offers quality products to the consumers. After achieving good results in all Pharma product segment. Medlock Healthcare holds a good market position and has great good will. We offer safe and effective medicines in the market. Moreover, we have more reach in the market, which is upper hand for our company. We worked in different Pharma Franchise segments. Now we are introducing Anti-inflammatory medicine range for patients. All drugs are manufactured in WHO and GMP certified plant under expert supervision. Our well equipped and high tech manufacture units produce the best medicine in the different segment which covers various areas Injectable, Tablets, Capsules, Syrup, Dry Syrup, Ointments, Sachets, and Powders etc. All medicines are safe and as per expert standard. Choosing Medlock Healthcare’s Pharma Franchise for Anti-Inflammatory Medicine is a good business decision. Our transparent and genuine offers are a big advantage for our business partners. Our aim is to deliver what we promise. We offer unique monopoly rights to our business partners. Which reduce the competition and help them to earn revenue. All products are effective and can earn a good profit margin on that. For motivating our business associates we offer exciting bonuses and schemes. We apply the proven marketing strategies. our Franchise clients are endowed with attractive marketing inputs. Endowed with marketing inputs like calendars, pens, bags, diaries, product stickers, cover letters etc. Use standard quality packaging materials and latest methods to preserve the effectiveness of the drugs. On time delivery of products keep your promises. 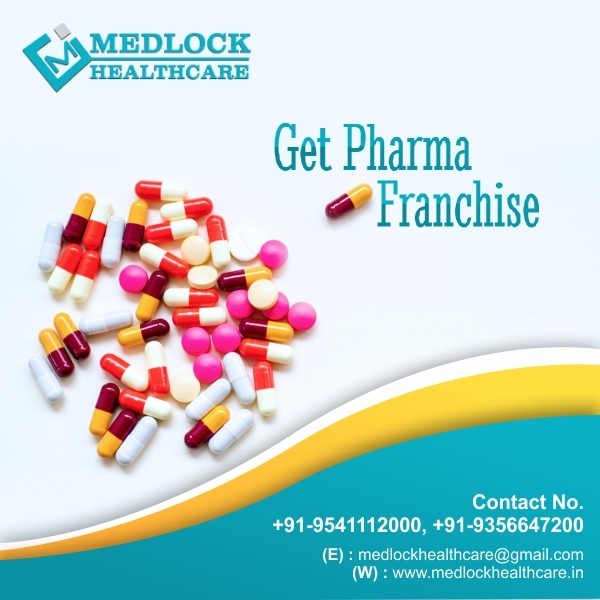 Why choose Medlock Healthcare Pharma Franchise for Anti-Inflammatory Medicine? Medlock healthcare is a reputed and renowned company in India. Our business engaged in PCD Pharma Franchise or for third-party Pharma manufacturing. From the startup company involves in innovation and produce effective medicine range. Our company has its Pharma Franchise all over in India and all business partners doing great business in their selected region. The demand for our products are always on top and get the best response. Our product quality never let you down in the competitive market. Our quality ingredients make our medicine superior. Our company meets the customer requirements and satisfaction by delivering them with the best medicines on the market. With the advancement of technology, we also advanced our machines and services as per market trends. We never compromise on quality. We understand the value of lives. We maintain hygiene and high standards in the manufacture units. We use the safe chemical for medicine formulation.